Today, one hundred years ago, the world was engulfed anew in open conflict at the formal declaration of war between Austria-Hungary and Serbia. 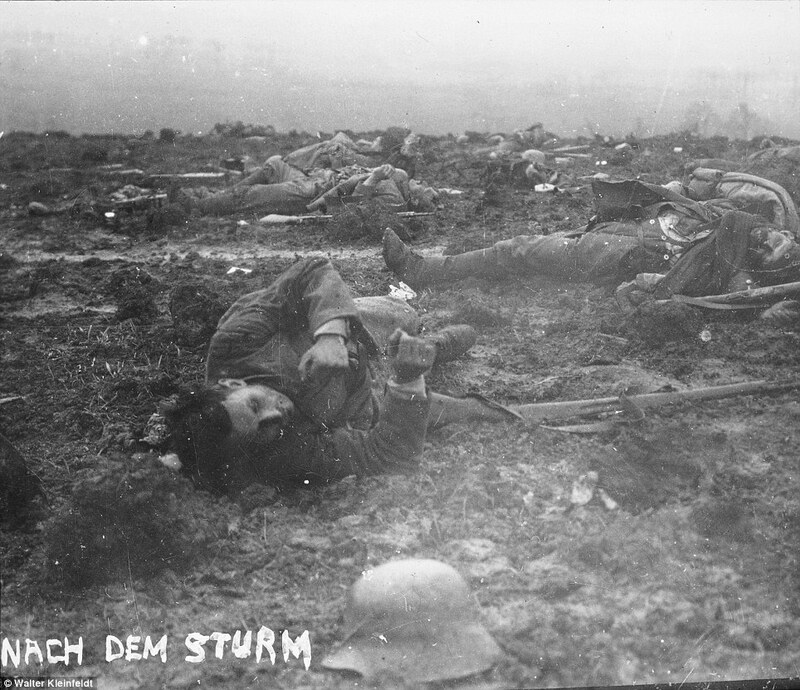 At its end, some 20 million were dead and another 21 million wounded. 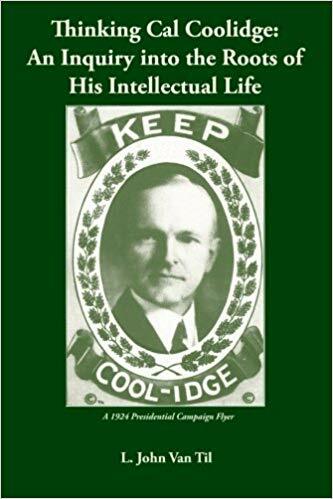 Calvin Coolidge had much to say when it came the irretrievable and wasteful loss of war, the terrible destruction it brings upon civilization and yet the justified reasons for our involvement when the rights of our citizens are under attack. 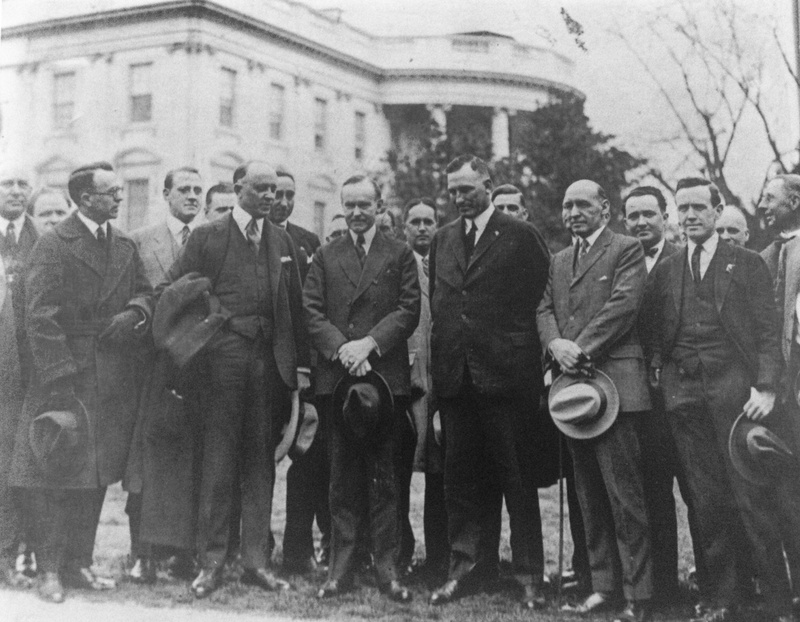 It was on one occasion, looking back eleven years after the end of that war, that then-President Coolidge offered these thoughts not only on the horrendous costs but the important lessons from a conflict that both permanently changed his generation and, consequently, the world. “We thought the question was involved of whether the people of the earth were to rule or whether they were to be ruled. We thought that we were helping to determine whether the principle of despotism or the principle of liberty should be the prevailing standard among the nations. Then, too, our country all came under the influence of a great wave of idealism…No doubt there were other motives, but these appear to me the chief causes which drew America into the World War. “The real question is whether spending more money to make a better military force would really make a better country. I would be the last to disparage the military art. It is an honorable and patriotic calling of the highest rank. But I can see no merit in any unnecessary expenditure of money to hire men to build fleets and carry muskets when international relations and agreements permit the turning of such resources into the making of good roads, the building of better homes, the promotion education, and all the other arts of peace which minister to the advancement of human welfare…Whenever the military power starts dictating to the civil authority, by whatsoever means adopted, the liberties of the country are beginning to end. National defense should at all times be supported, but any form of militarism should be resisted. 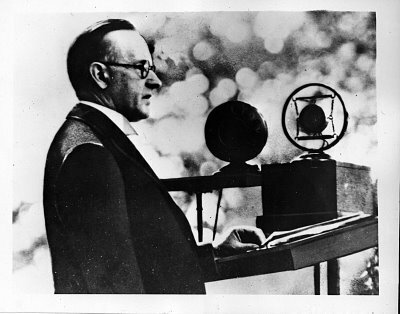 President on a temporary stage at the American Legion Convention, October 6, 1925. 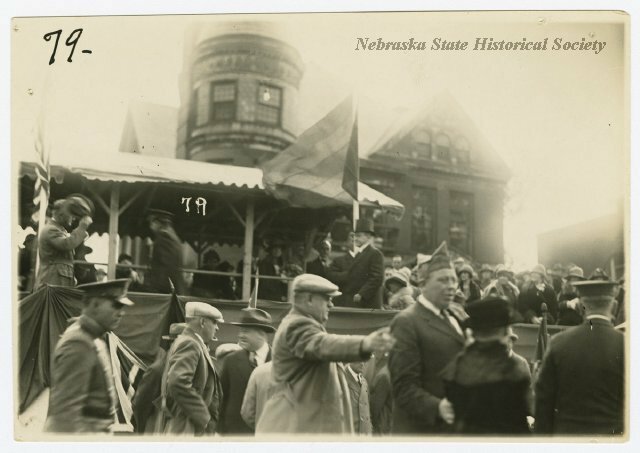 Courtesy of the Nebraska State Historical Society.